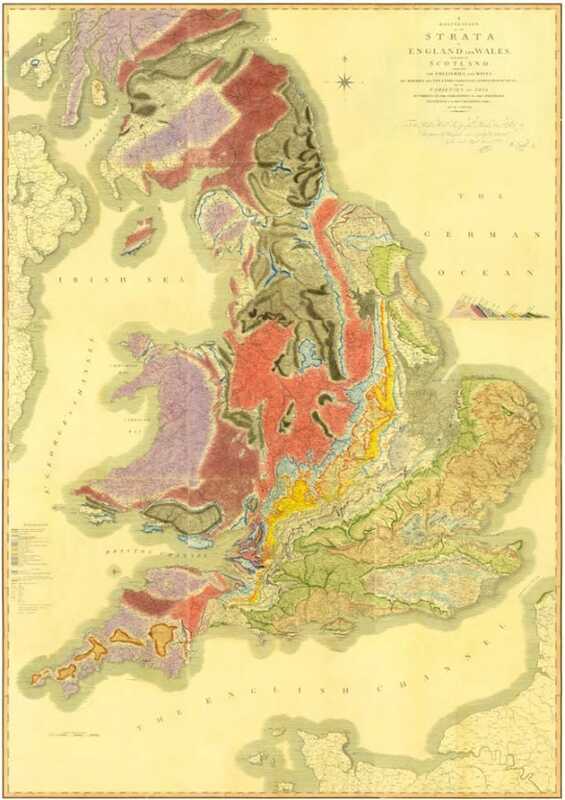 In 1815 William Smith drew a map of the United Kingdom which transformed the scientific landscape: it laid the foundations for modern geology, and identified natural resources that would the fuel the Industrial Revolution. But up until last year, this first-edition copy was considered to be lost forever. As a geologist in London in the early 1800s, Smith began looking at the alignment of fossils as a way to trace rock layers, therefore pioneering the field of stratigraphy. His work created a formal methodology for geologic surveys, influencing the way that similar surveys were undertaken in other countries. This discovery was nothing less than revolutionary, or shall I say evolutionary: Smith was highly influential in the work of Charles Darwin. The 1815 Geological Map of England and Wales was nicknamed "The Map That Changed the World" and there's even a book by that name which asserts the importance of Smith's accomplishment; as well as the rather sad aftermath. Because he was not a member of the intelligentsia (he was a surveyor and canal worker) he was plagiarised and lived homeless for a decade.